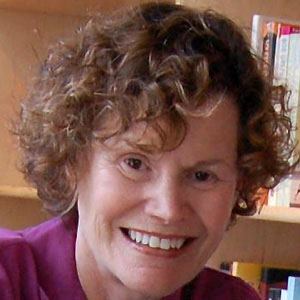 American author whose popular novels include Tales of a Fourth Grade Nothing and SuperFudge. Her books, intended for adolescent readers, address such taboo issues as menstruation, masturbation, and bullying. She started college at Boston University and later graduated from New York University 's teacher training program. She published her first work, The One in the Middle Is the Green Kangaroo, in 1969, when her children were still in preschool. She is particularly known for her work Are you there God? It's Me Margaret. She married fellow New York University student John Blume on August 15, 1959, but the couple divorced in 1976. She was then married to Thomas Kitchens from 1976 to 1978. In 1987, she married her third husband, George Cooper. She has two sons, Randy and Lawrence. In 2012, her son Lawrence directed the film version of her novel Tiger Eyes, which starred Willa Holland .